Many original equipment manufacturers (OEMs) have transitioned to lighter viscosity motor oils over the years to help meet corporate average fuel economy (CAFE) requirements. While SAE 30 oils (5W-30, 10W-30) once comprised the majority of passenger car motor oil sales, SAE 20 oils (0W-20, 5W-20) have gradually claimed an increasingly larger slice of the pie. Toyota, Honda, Acura and Lexus, for example, recommend 0W-20 oils in most new vehicles, while Ford and Dodge recommend 5W-20 oils in many new vehicles. 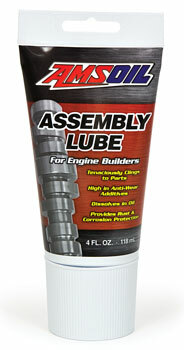 With the continuing trend toward lighter viscosity oils, AMSOIL has expanded the Signature Series, XL and OE lines. The Signature Series line now includes a 5W-20 oil (ALM), while the XL and OE lines now each include a 0W-20 oil (XLZ, OEZ). Like the other oils in their respective lines, each new oil is formulated to provide outstanding protection and performance and meet the latest API SN/ILSAC GF-5 specifications. XL and OE 0W-20 are API licensed. Offering both a 0W-20 and a 5W-20 in each motor oil line eases the selling process for Dealers by providing customers the precise viscosity specified by their vehicle manufacturer, whether they want maximum 25,000-mile/ one-year drain intervals with Signature Series, 10,000-mile/six-month drain intervals with XL or OEM-recommended drain intervals with OE. To establish consistency and increase convenience, AMSOIL synthetic motor oil labels and caps in the three main lines are color-coded according to viscosity grade. The new OE and XL 0W-20 synthetic motor oils feature green labels and caps. 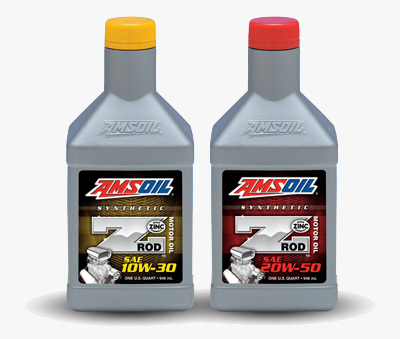 To match, AMSOIL Signature Series 0W-20 (ASM) has also transitioned to a green label and cap. Likewise, all 5W-20 oils (ALM, XLM, OEM) feature silver labels and black caps, while 5W-30 oils (ASL, XLF, OEF) retain their red labels and caps; 10W- 30 oils (ATM, XLT, OET) retain their blue labels and caps; Signature Series 0W-30 (AZO) retains its bronze label and cap and XL 10W-40 (XLO) retains its yellow label and cap. AMSOIL offers three distinct tiers of high-quality synthetic motor oil. With each tier now featuring a complete selection of viscosity grades, AMSOIL provides the ideal product for every customer. 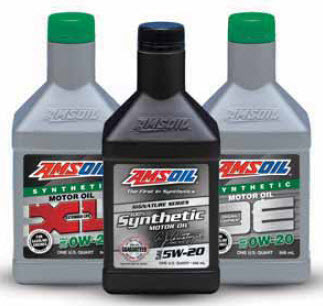 The recent launch of OE Synthetic Motor Oil has allowed AMSOIL and its Dealers to reach a whole new base of customers, while providing a stepping stone to the significant benefits and cost savings of XL Synthetic Motor Oil or the top-tier line of Signature Series Synthetic Motor Oil. Based on the same concept, new AMSOIL OE 15W-40 Synthetic Diesel Oil (OED) offers high-quality protection and performance for original equipment manufacturer (OEM)-recommended drain intervals at an initial price comparable with other standard-drain synthetic diesel oils. OE 15W-40 Synthetic Diesel Oil meets API CJ-4 specifications and is suitable for modern and older, on- and off-road diesel applications. It is an excellent entry-level product for customers who want to move up to synthetic quality, but won’t pay a significantly higher price than a conventional oil or aren’t initially interested in extending their drain intervals. OE 15W-40 Synthetic Diesel Oil is ideal for those applications excluded from the extended drain interval recommendations of Premium API CJ-4 Synthetic Diesel Oil due to persistent fuel dilution issues, including 2007 to present light-duty GM, Ford and Dodge diesel pickups and 2007 to 2009 Caterpillar C13 and C15 on-highway engines. It exceeds the higher performance demands of modern engines and withstands the stress of heat, soot and acids to help prevent deposits, wear and corrosion. AMSOIL OE 15W-40 Synthetic Diesel Oil is formulated for improved heat and oxidation resistance over conventional petroleum oil for cleaner engine operation. It maintains power and fuel efficiency for superior engine performance. OE Diesel Oil’s dependable cold-temperature flow assures easier startup and improved post-startup protection. Due to its low rate of volatility (burn-off), AMSOIL OE 15W- 40 Synthetic Diesel Oil is able to reduce oil consumption and emissions. It maintains film strength even during hightemperature operating conditions to ensure dependable protection, performance and fuel efficiency. AMSOIL OE 15W-40 Synthetic Diesel Oil is formulated with premium synthetic base stocks and robust detergent/ dispersant additives that keep soot particles from agglomerating and forming larger wear-causing particles. It allows for optimal soot-related viscosity control to maintain stay-in-grade performance. New AMSOIL Break-In Oil (BRK) is an SAE 30 viscosity grade oil formulated without friction modifiers to allow for quick and efficient piston ring seating in new and rebuilt high-performance and racing engines. It contains anti-wear additives to protect cam lobes, lifters and rockers during the critical break-in period when wear rates are highest, while its increased film strength protects rod and main bearings from damage. AMSOIL Break-In Oil provides Dealers access to engine builders, race teams and car enthusiasts actively seeking a quality break-in oil. See the June AMSOIL Magazine for more information. New AMSOIL OE 15W-40 Synthetic Diesel Oil (OED) offers high-quality protection and performance for original equipment manufacturer (OEM)-recommended drain intervals at an initial price comparable with other standard-drain synthetic diesel oils. OE 15W-40 Synthetic Diesel Oil meets API CJ-4 specifications and is suitable for modern and older, on- and off-road diesel applications. It is an excellent entry-level product for customers who want to move up to synthetic quality, but won’t pay a significantly higher price than a conventional oil or aren’t initially interested in extending their drain intervals. OE serves as an excellent door-opener for Dealers, who can later educate customers on the benefits of stepping up to AMSOIL Premium API CJ-4 Synthetic Diesel Oil (DEO, DME) and saving money through extended drain intervals when possible. AMSOIL now offers a synthetic motor oil engineered specifically for classic cars and performance vehicles. Available in 10W-30 and 20W-50 viscosities, AMSOIL Z-ROD Synthetic Motor Oil (ZRT, ZRF) features high-quality synthetic base stocks and a proprietary additive package tailored to perform on the street and protect during storage. 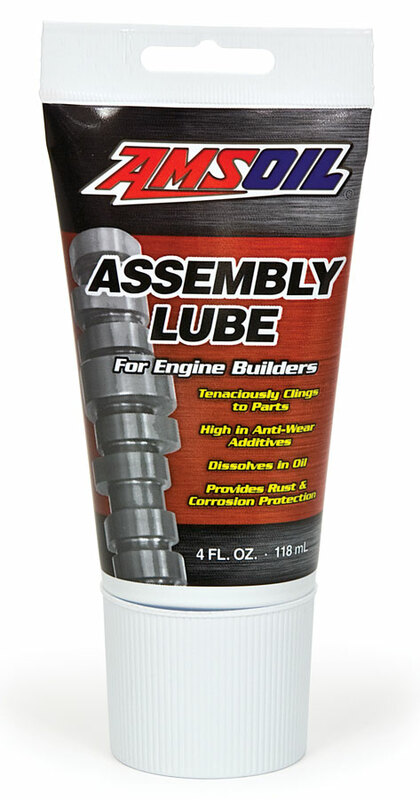 Z-ROD Synthetic Motor Oil will be available at all AMSOIL distribution centers by the first week of May. See the Z-ROD page for more information.